Get content marketing insights that achieve results. Quietly Insights turns data into actionable recommendations so you can focus on building and executing an effective content strategy. 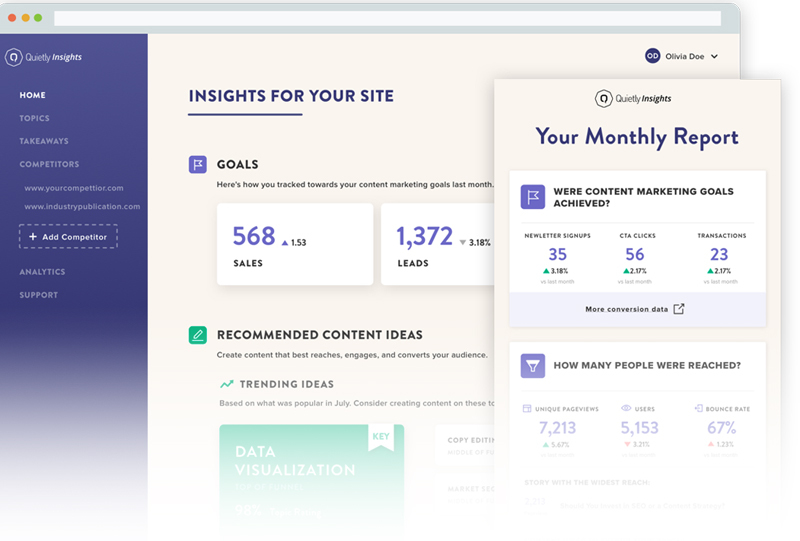 Quietly Insights turns data into actionable recommendations so you can focus on building and executing your content strategy. 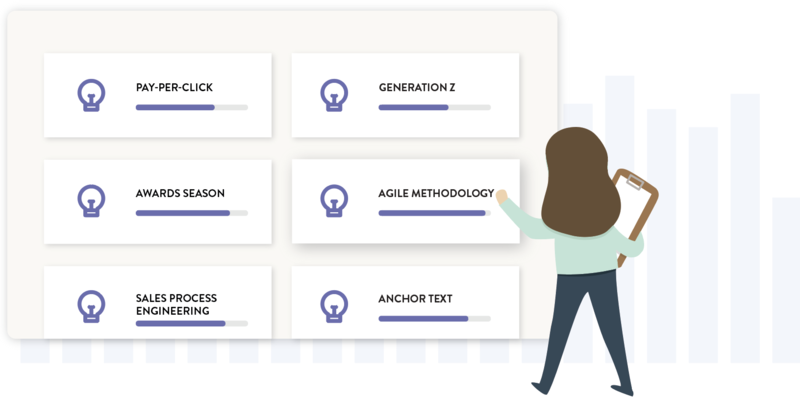 Create and test your content strategy faster with predictive content ideas that help you better reach, engage and convert your audience. Stop trying to guess with traditional web analytics. Make informed decisions with insights and recommendations powered by content marketing-specific data. Quietly Insights’ email snapshots go beyond simple reporting, using custom reader engagement and conversion metrics to explain whether you’re reaching your goals. © 2018 QUIETLY. ALL RIGHTS RESERVED.